When summer arrives in Texas, it always brings along some familiar friends — heat, humidity and a lot of mosquitoes. While we can’t do much about the first two, we can take proactive steps to help control those annoying and potentially dangerous pests. In recent years, the infamous West Nile Virus has frequently emerged from the annual mosquito invasion. Mosquitoes in Bryan and College Station have tested positive for the virus again this summer, and residents are looking for effective ways to deal with the issue. Cities used to rely on fogger or spray trucks in mostly vain attempts to control mosquitoes, but most now distribute mosquito dunks as a more environmentally-friendly and effective solution. The City of College Station still does targeted spraying and applies mosquito dunks in ditches, culverts and creeks where large mosquito populations exist. Mosquito dunks can be placed directly where mosquitoes breed such as birdbaths, rain barrels, ponds, old tires, sewers, gutters, creeks, streams and drainage channels. The small, donut-shaped dunks kill the larvae by slowly releasing a larvicide at the water surface level. The bacteria in the dunks will not hurt pets, birds, children or wildlife. Since the City of College Station’s Mosquito Abatement Program began in 2002, many HOAs and neighborhood associations have successfully battled their mosquito problems. After registering with the Neighborhood Partnership Program, the associations are reimbursed for purchasing large quantities of mosquito dunks. If you aren’t a member of a HOA or neighborhood association, you can find inexpensive dunks at home improvement stores, farm and ranch supply stores and online. DRAIN: Drain standing water from gutters, flowerpots, buckets, wading pools, puddles, etc. DEET: Use insect repellant with DEET, picaridin, oil of lemon-eucalyptus or IR3535. DUSK/DAWN: Stay indoors at dusk and dawn when mosquitoes are most active. DRESS: Dress in long-sleeves and pants when possible. For more information about the Mosquito Abatement Program or mosquito dunks, contact me at 979.764.6262 or bmoore@cstx.gov. 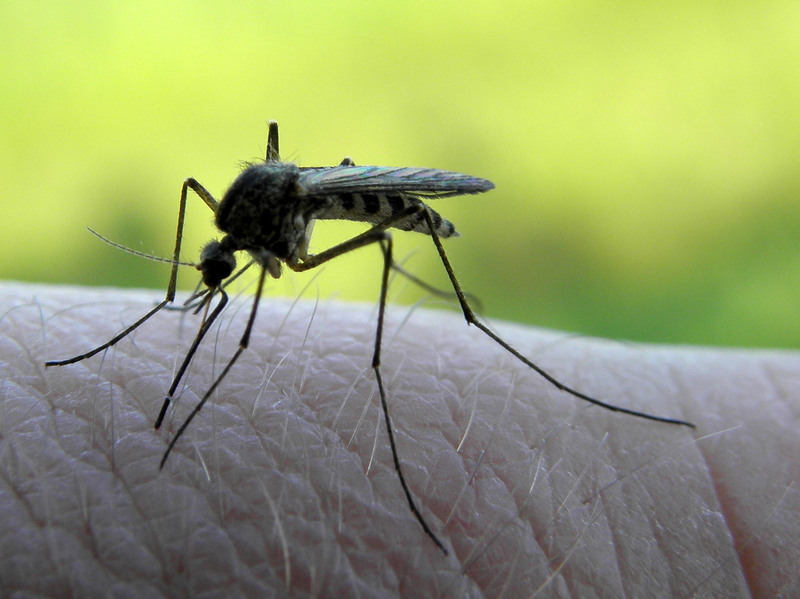 What’s worked best in your personal battle against mosquitos? This entry was posted on July 25, 2012 by City of College Station. It was filed under Neighborhood Services, Planning & Development, Public Communications and was tagged with mosquito abatement, mosquito dunks, west nile virus. Drain standing water from gutters actually is a great source of mosquitoes and all sorts of bugs. You can see in this infographic ( http://visual.ly/node/184607 ) the importance of keeping the gutters free of clogs and the soil dry around the foundation perimeter.